The Fondren Fellows program funds Rice undergraduate or graduate students to conduct research projects sponsored by Fondren Library that will benefit the library and the scholarly community. For example, projects may involve working with archival collections, developing digital projects, or making recommendations for library spaces or services based on analyzing data. A Fondren staff member will serve as a mentor for each project. Graduate student projects will be designed at an appropriate level of complexity and responsibility, and there may be opportunities for graduate students to help mentor undergraduate fellows. Receive a competitive wage. Fellows will receive $15/ hour, with a cap of $3000 per fellowship. a resume or CV that includes your name, email address, telephone number and expected graduation date. a cover letter. The cover letter should specify which project(s) you would like to participate in, what qualifications you bring to the project(s), and what you would like to get out of the fellowship. a letter of recommendation from a faculty member. Students will be expected to interview with the prospective mentor and the Fondren Fellows coordinator. Work study students are encouraged to apply. 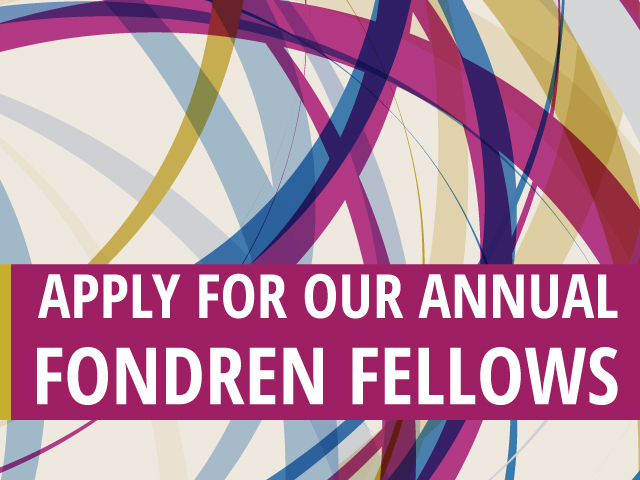 Applications for the Fondren Fellows program are due at noon on Tuesday, March 19, 2019. Contact lspiro@rice.edu with any questions. The Fondren Fellows program is funded through the generous support of Trish Brice. It is inspired by a similar program at Vanderbilt, as well as by student research programs at Rice’s Center for Civic Leadership and Rice’s Humanities Research Center. Learn more about the program by reading Jeff Falk's "Fondren Fellows Program showcases students’ research prowess," Rice News (April 17, 2017). For the summer of 2019, Fondren offers four different projects that students can apply to work on. In the application, indicate which project(s) you would like to be considered for. “A Time of Protest at Rice: Part 2": The Fellow will create an online exhibit about the Abbie Hoffman Incident. This project complements another project under development that focuses on the Masterson Crisis, a student protest at Rice in the 1960s. The Fellow will have a chance to analyze Rice's unique protests that were in sympathy to--but also ran counter to--the Vietnam protests held at other universities across the country. "Toward a more environmentally sustainable vendor/publisher packaging global practice": As the end point of the acquisition of library materials (print journals, newspapers, books, etc. ), libraries are increasingly becoming a repository of a large amount of packaging on a daily basis, some of it recyclable, and some not. This ongoing influx of packaging materials represents an opportunity and invitation for further investigation and research into what current regulations and best practices exist with regard to their actual recyclability and/or disposal, both locally and across various regions nationally and internationally, as well as an examination of the effectiveness of their efforts. The findings and recommendations of this research project may lead to a more informed understanding of the complexity of issues with which to mediate a more substantive response in dealing with this problem. The workflow will be divided into thirds: Exploration/Discovery, Research, Synthesis of Findings and Recommendations over the project schedule, with strong emphasis placed upon research. "Developing a Sustainability and Resilience Plan for Fondren Library": According to the American Library Association, “libraries that demonstrate leadership in making sustainable decisions that positively address climate change, respect and use natural resources, and create healthy indoor and outdoor environments will stabilize and reduce their long-term energy costs, help build more sustainable communities, and thereby increase community support for the library.” In support of Rice’s overall commitment to environmental sustainability, Fondren Library seeks to become more sustainable, such as by reducing resource consumption, facilitating the sharing and re-use of materials, creating collections that reflect sustainability concerns, fostering resilience, and incorporating environmental concerns into potential renovation plans. The Fondren Fellow would lay the groundwork for developing the library’s sustainability plan by consulting with stakeholders, identifying key elements of the plan, researching how similar organizations approach sustainability, and preparing a brief report and presentation to share findings. It is envisioned that this will be a multi-phase project, likely involving multiple Fellows. "Cataloging paranormal studies collections": For “Cataloging paranormal studies collections,” the Fellow would assist the staff of the Woodson Research Center with the processing and description of the recently acquired archival materials relating to new religious movements and the paranormal. The archive is the focus of the Archives of the Impossible seminar presently taught by Prof. Jeffrey Kripal of the Religion department. For more information about these fellowship opportunities, including a list of desired skills, please click here.